It is that time again!! Engagement session season! As the wedding season starts to slow down moving into November/December, this is when we start scheduling engagement sessions for my 2015 couples. 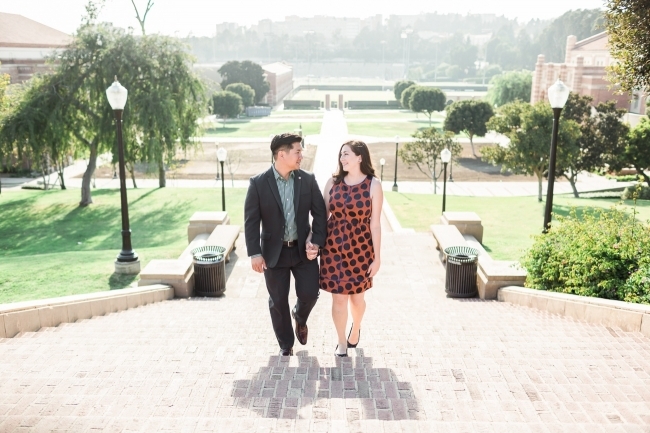 Today, I’m beyond excited to show off Kim and Steven’s UCLA and Santa Monica engagement session! 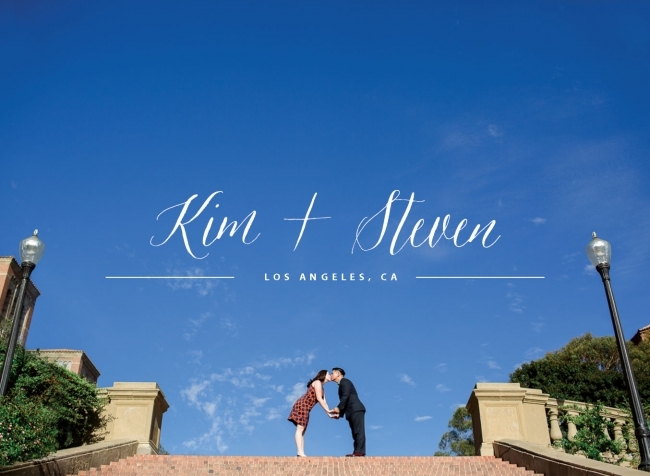 Kim and Steven’s engagement session at UCLA brought back so many memories for Steven and Kim (and me too!). Steven attended UCLA and it was on these very steps (see first picture) that they first met each other. As we walked around the campus, Steven reminisced about his time at UCLA (and as a fellow alumni, I totally related). As Steven and Kim walked across the campus together, I could see only one thing: their love for one another. They are an incredibly fun and sweet couple, so I loved spending a little extra time with them as we drove from UCLA to Santa Monica for the second half of their session. 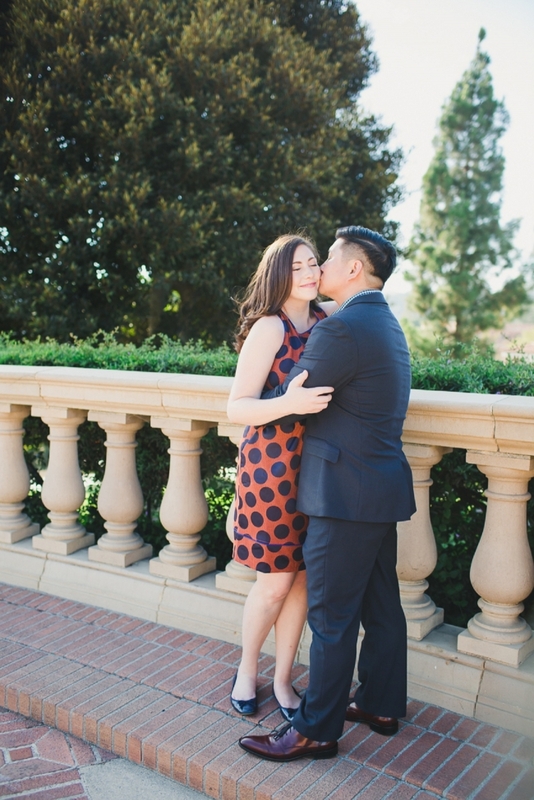 The architecture at UCLA makes it a perfect place for an engagement session and provides the perfect backdrop for the love that these two share. I hope you enjoy just a few of my favorites from their session. UCLA has so much great architecture. I was inspired at every turn!! I can’t wait for your wedding in Carlsbad in March!!! So excited! !